Changes in Facebook algorithms have slashed Facebook organic reach for brands and businesses. Even business pages with tens of thousands of followers have seen their organic reach plummet. Their posts seem to be much less visible in newsfeed than before. Instead, we see more posts from our friends and family, and posts from groups. A post’s average organic reach on Facebook is only around 6.4% of the page’s total likes. 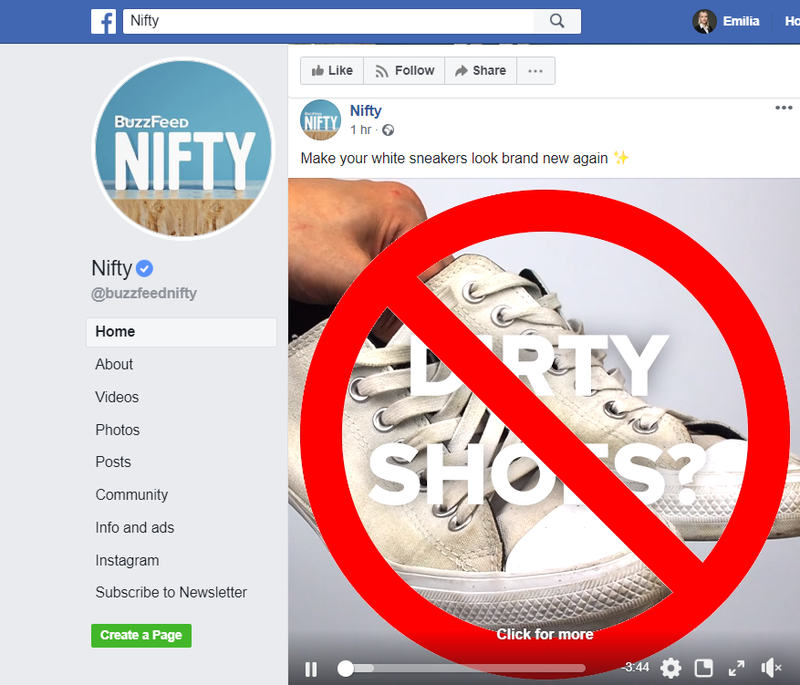 But the war for unpaid attention on Facebook is not lost yet – here are 9 hacks you can use to boost Facebook organic reach for your business page! The growing number of Facebook users produce more content than the platform is able to show in newsfeed at once. It is estimated that over 30 billion pieces of content are published on Facebook every month. An average Facebook user posts about 18 times per month. Facebook only shows us the most relevant content. How does Facebook decide what is relevant for you or not? and Adam Mosseri, VP of News Feed at Facebook in 2018 explained how Facebook use the process called Ranking to “organize all of those stories so that you can see the most relevant content at the top, every time you open Facebook”. Every time you log into Facebook, million pieces of content “try” to reach you. The algorithm evaluates and prioritizes them according to the probability that you will interact with them. It’s a real-time, ever-evolving mechanism, based on artificial intelligence, which learns with every new post, like or reaction. Facebook newsroom claims that “ranking has four elements: the available inventory of stories; the signals, or data points that can inform ranking decisions; the predictions we make, including how likely we think you are to comment on a story, share with a friend, etc; and a relevancy score for each story”. The most important factor influencing the ranking of content on Facebook are comments. 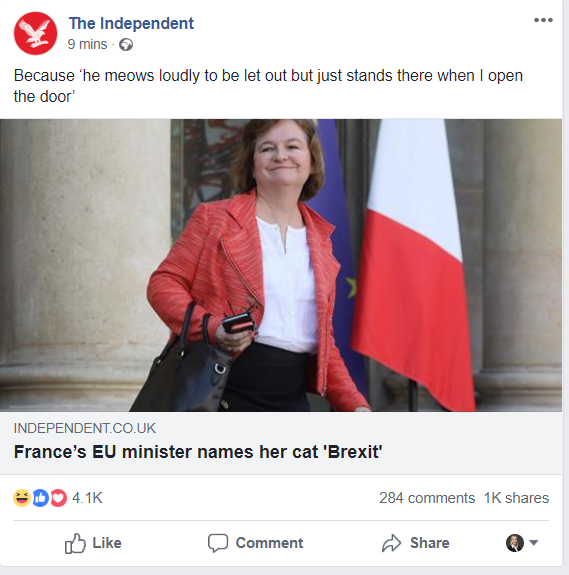 As Adam Mosseri, head of News Feed, wrote in a January 2018 press release: “Entries on the site that generate conversations between people will be displayed first”. In other words, Facebook draws attention to both posts that are made public and private. The key is that it’s not enough to share a post anymore. From now on Facebook favours shared posts that trigger conversations among friends. Now that we know how Facebook ranks its content, let’s have a look at the 9 ways we can boost Facebook organic reach of our posts! 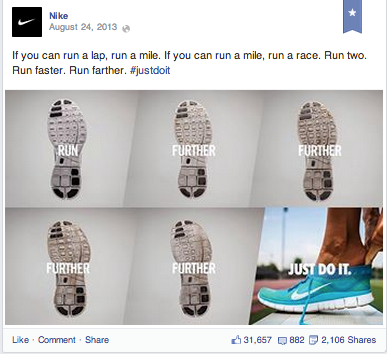 Let’s face it: Facebook favours posts shared by users rather than by businesses and brands. And posts by business pages that your friends have commented on will be displayed first. Know that – how can we write posts that will engage our audience and make them more likely to comment on the post? Are virals born or made? 2. Triggers – something that reminds you of something else: e.g. peanut butter sandwich brings to mind jelly, while pairing coffee with KitKat in an ad was a smart way to make people think of buying KitKat while buying coffee. Can you think of any smart triggers that will make people think of your product whenever they see something else? 3. Emotion – people love emotional content: it can be either positive (funny, interesting, uplifting) or negative (infuriating, scary) – the key is though, make sure the emotional load is stimulating, not depressing. 4. Social Proof – seeing other people use something (public value, ‘monkey see, monkey do’) triggers ‘herding behaviour’ in us and makes us more likely to join the bandwagon! 5. Practical Value – why do 31 million (!) people like BuzzFeed’s Nifty page with smart arts & crafts lifehacks? 6. Stories – whatever your product or service is – even it’s a digital product – you can still tell an emotional story about it. People don’t buy features – they buy feelings. Like videos, live broadcasts are one of Facebook’s favourite formats. If we do a “live”, our followers will receive a notification and they will be able to click through to it easily. This will automatically translate into higher organic reach . However, it is worth asking yourself what should happen in live broadcasts? If you post reports from events that your users are not interested in and that are not consistent with what you usually post on your Facebook page – it will affect your organic reach (and the overall trust in your brand). Hence, be consistent and stick to events related to your industry and company life. A behind-the-scenes video will bring your company and your audience closer and make your followers feel that they have access to something exclusive. Sharing knowledge helps not only increase the organic reach but also build a strong personal brand as an expert. Valuable articles related to your core business can become the subject of frequent sharing if your target group finds them useful. 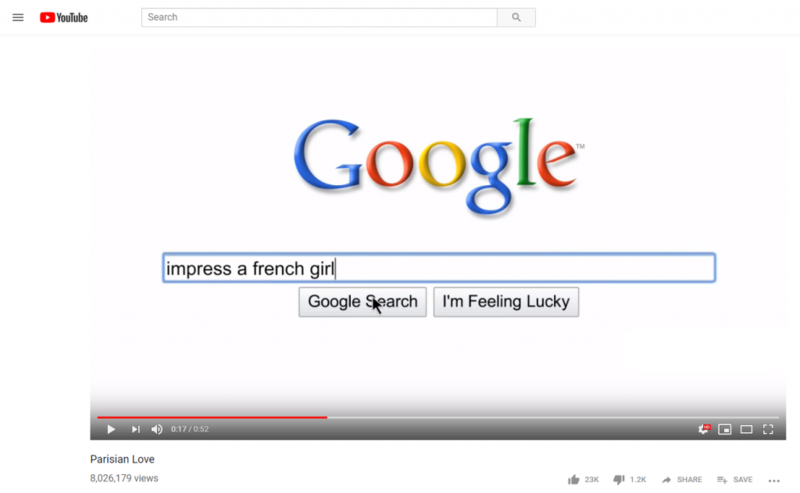 This type of content is also more likely to be given thumbs up! Friends of your friends will see your content = increase of post engagement = increase in organic traffic. Evergreen content is a timeless content that generates website traffic for a long time. Texts containing universal information, tips and hints do not get old stand the test of time. What kind of content does not age? What kind of content is time-sensitive? 39% of Facebook users admit that they follow Facebook Business Pages because they want to get special offers! If you publish a discount on your page from time to time, your target group will be more likely to follow you and wait for the next promotion. I’m sure any small business owner will appreciate the simplicity of this marketing strategy ;) . A partnership that relies on sharing content and products helps you reach new audiences for free, while increasing your organic reach. To make this strategy work you need to remember that the target audience of your partner needs to overlap with your target audience to a large extent. If you sell jewelry, and your partner sells lawn mowers, there’s no audience overlap and cross-sharing content simply doesn’t make sense. Usually, to achieve good results from partnering with other businesses, you should make deals with pages that have at least a few thousand likes. According to Digital Marketing Institute, 49% of consumers depend on influencer recommendations. Moreover “Facebook is the most influential social media channel with 19% of purchasing decisions being influenced by the platform”. Influencers’ fans trust them because they believe they are experts in the subject they deal with. Seeing a Key Opinion Leader recommend a product, they believe that it must be good and worth having. In order to get the best value for money when reaching customers and to increase organic traffic, do a barter with a micro influencer (someone that already has a sizeable following of a few thousand, but is not a rock star yet). The Influencer will then help you reach a certain number of people in exchange for your brand’s products or services. Digital Marketing Institute claims that 71% of marketers perceive influencer marketing partnerships as good business. We already mentioned *a lot* about the role of fundamental human psychology in going viral – the ‘6 elements of contagiousness’. You do not need to write an essay to go viral (by the way, the most effective length for Facebook ad titles is four words, with 15-word link descriptions). If you have a good idea and a good creative, and the people will do their job. Facebook organic reach – mission accomplished. Don’t underestimate the power of #hashtags on Facebook. Hashtags help users find interesting content. They act as a content marker. Well-known brands use hashtags to determine the theme of their post. 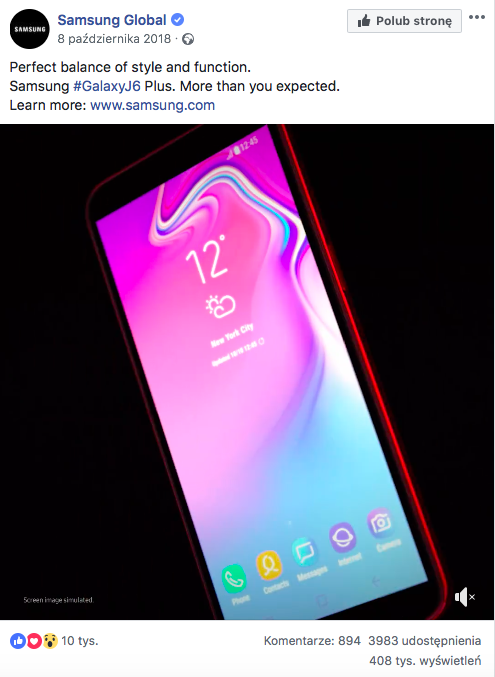 Samsung, for example, does this with the hashtag #GalaxyJ6 indicating the posts in which it mentions this product. 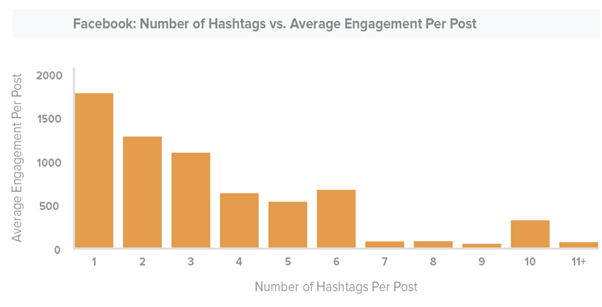 Sproutsocial conducted a study which revealed that adding more and more hashtags to the post on Facebook will decrease post engagement. Almost everyone knows what a#hashtag is but knowing is not the same as understanding! Does it mean brands shouldn’t use # while trying to increase organic traffic? Well, the engagement of users in the post is one of the indicators that Facebook assesses in the ranking algorithm. 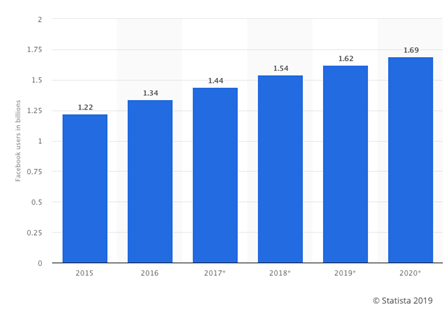 If the engagement rate drops, your organic reach can be significantly lower. This does not mean, however, that you should not use hashtags. They should simply be used well. 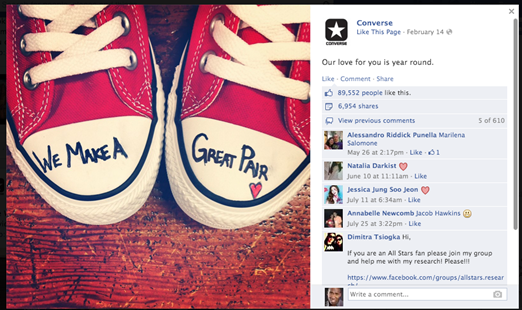 Imagine that you share a post with your product that you tag it with the hashtag #love. Knowing that this # was created to help people find the right content, does what you’re tagging it with fit the bill? And now imagine that the “love” tag was used by 100 other companies that day: cafes, beauticians, hairdressers, footwear companies or drink manufacturers and other businesses. 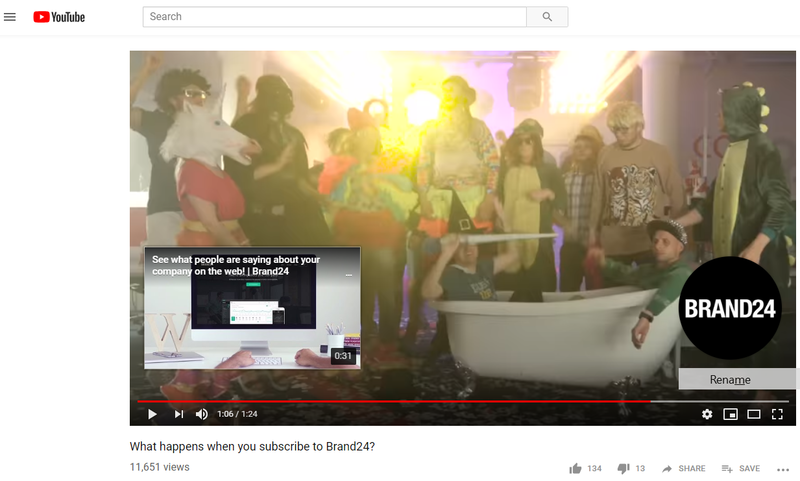 How can the user find your brand? Will this # make them find what they were looking for? And finally, what does #love say about your brand? To be honest … nothing. Proper use of hashtags will surely help you appear in the Facebook organic search, and not cluttered posts will get higher engagement, which will not lower the reach of your post (because too many hashtags can lower your organic reach!). Marketing Manager, Kredytmarket. 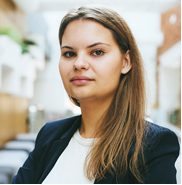 Justyna has worked in marketing & PR for the past 8 years. She also has experience in start-up marketing. Privately an avid J. R. R. Tolkien fan.